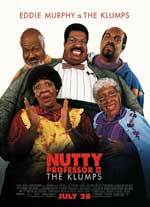 Titolo originale The Nutty Professor II: The Klumps. Comico, durata 90 min. - USA 2000.